This kind of OEM stampnig part was made of aluminum sheet. The required stamping processes are blanking, piercing and forming anf finish by powder coating.Any color of powder coating is available compliant customer's requirement. The standard packaging is by carton box with wooden pallet. 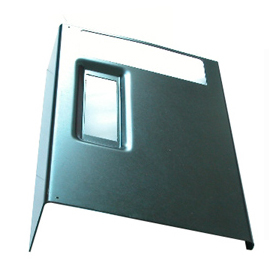 Any OEM sheet metal stamping product iswelcome.